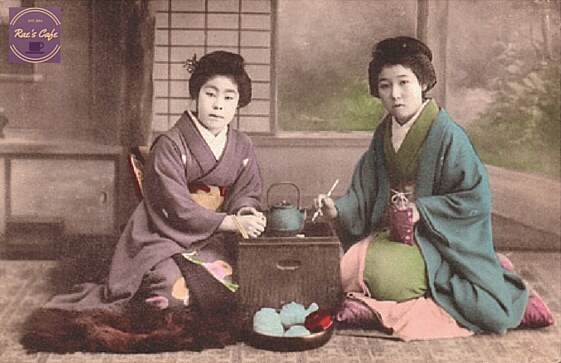 Traditional Japanese tea ceremonies are well-known across the globe — but many people are unfamiliar with some of the elaborate rituals surrounding coffee. One such ritual with a long cultural history is the coffee ceremony that is still performed to this day by Ethiopians. 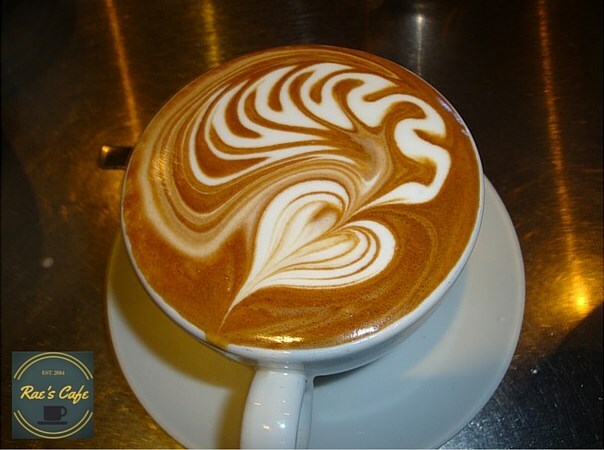 The nation is considered the birthplace of Arabica coffee, it’s no surprise that coffee has a special significance. Coffee is revered with almost spiritual significance in this ritual, which has been performed for thousands of years. Let’s take a look at the traditional Ethiopian coffee ceremony, which takes the humble green coffee bean – and guests at the ceremony – on a journey through the roasting process, and then the brewing process, before it is finally poured and served for guests in small ceramic cups. The Ethiopian coffee ceremony is an integral part of their social and cultural life, and often takes place two or three times per day. 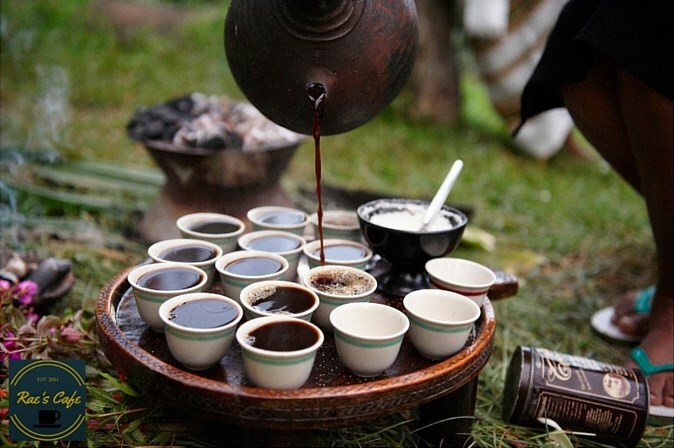 An invitation to attend a coffee ceremony is considered a mark of friendship and respect, and is an excellent example of Ethiopian hospitality. The ceremony can take 2-3 hours, and gives attendees time to catch up on local news, share their experiences and problems, rest, relax and spend time chatting. First, the hostess performing the ceremony spreads fresh, aromatic grasses across the floor. 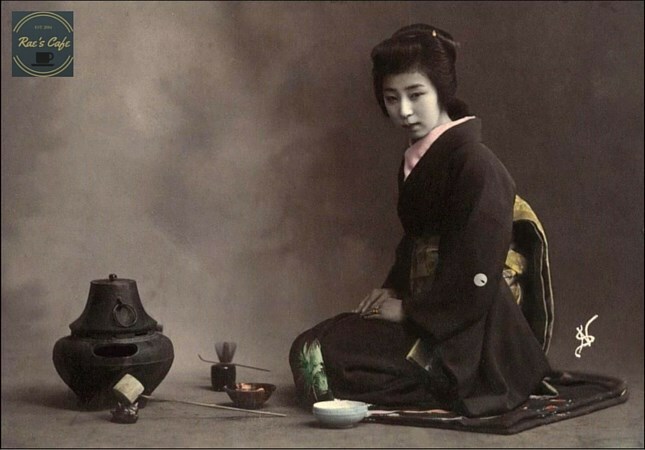 She begins burning incense to ward off evil spirits, and continues to burn incense throughout the ceremony. She fills a round-bottomed, black clay coffeepot (known as a “jebena”) with water and places it over hot coals. Then, the hostess brings out the washed green coffee beans and begins roasting them in a pan on a small open fire or coal furnace. The traditional coffee roasting pan is similar to an old fashioned popcorn roasting pan — it has a very long handle to keep the roaster’s hands away from the heat. 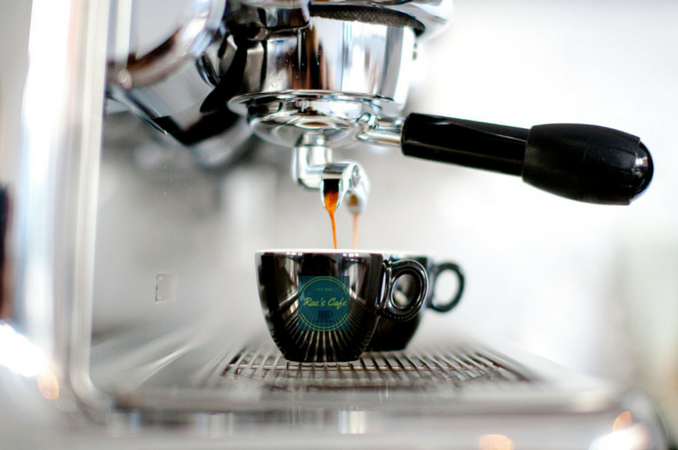 To ensure that the beans are all evenly roasted, the hostess will shake the beans, then will take the pan around the room so that all attendees can experience the powerful aroma of the roasting coffee beans. When roasted, the coffee beans turn a dark brownish black color, and are often slick with the aromatic oils that are released during the roasting process. After the hostess has completed roasting the beans, she grinds them by hand into a coarse ground using a tool similar to a mortar and pestle. The “mortar” is a small, heavy wooden bowl called a “mukecha” (pronounced moo-key-cha) and the “pestle” is a wooden or metal cylinder with a blunt end, called a “zenezena”. The grounds are then added to the now boiling water in the jebena coffeepot, and when ready, the hostess pours the coffee from the pot onto a tray of small, white china cups, from a height of one foot above the tray, without interruption — a feat that can take years of practice to master. After adding sugar if they desire, guests “buna tetu” (or “drink coffee”), and praise the hostess for her coffee-making skills and the coffee for its flavor. After the first round of coffee, there are traditionally two additional servings. The three servings are known as “abol”, “tona” and “baraka”. Each serving is progressively weaker than the first. 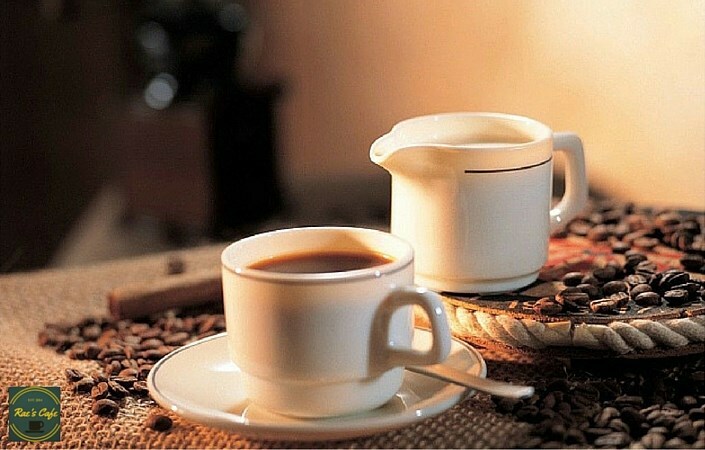 Each cup is said to transform the spirit, and the third serving is considered to be a blessing for those who drink it. Coffee is usually served without milk, but with sugar. In some villages, variations also include the addition of salt, butter or honey. Depending on the region, the coffee is often served with traditional snack foods, such as popcorn, peanuts or cooked barley. Coffee clearly has a long and reverent history in Ethiopian culture. The Ethiopians have a saying, “Buna dabo naw,” which translates literally to “Coffee is our bread.” This demonstrates the central role coffee making, and drinking, has not only for providing sustenance, but for the important social bond it provides for those who share it. We’ll drink coffee to that here at Rae’s Cafe. People tend to think of hot chocolate as a warm, comforting drink, one served up to small children on a cold night. 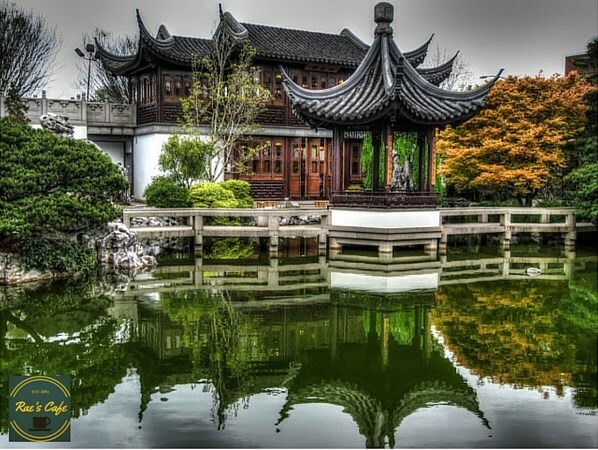 But it was once revered as a great tonic for warriors, who needed energy and sustenance to tackle challenges such as big battles or arduous journeys. 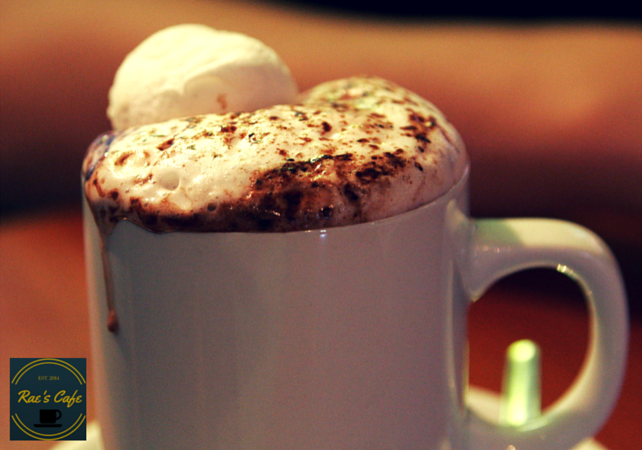 In fact, hot chocolate has a history as rich and colorful as the drink itself. The first chocolate beverage is believed to have been created by the Mayan people of around 2,000 years ago, and a cocoa beverage was an essential part of Aztec culture by 1400 AD. An early Classic (460-480 AD) period Mayan tomb from the site of Rio Azul, Guatemala, was found to contain vessels bearing the Mayan glyph for cacao, and the vessels contained the residue of a chocolate drink. In ancient Mesoamerica, the cacao drink, known as “xocolātl” was considered sacred and was used during initiation ceremonies, funerals, and marriages. During this time, cacao beans were also used as currency. Montezuma II, the last ruler of the Aztec empire, was said to have kept a huge storehouse of cacao, and to have drunk up to 50 golden goblets of chocolate a day. Montezuma II is also said to have decreed that only men who went to war were to imbibe the precious cacao drink, and thus cacao became a regular part of military rations. After defeating Montezuma’s warriors and demanding that the Aztec nobles hand over their valuables, Cortés returned to Spain in 1528, bringing cocoa beans and chocolate drink making equipment.Drinking chocolate or hot chocolate soon became popular amongst the elite in Spain, and then spread across the rest of Europe. So, it seems we have the ancient Aztecs and their precious cacao beans to thank for the delicacy we know today as hot chocolate. And while the modern version — particularly the tasty Rae’s Gourmet Hot Chocolate that’s also infused with Ganoderma lucidum — may be a lot more refined than its ancient predecessor, it certainly remains a powerful elixir, and one that we have happily added to our beverage repertoire.